A ham from Nevada is seeking limits on the number of callsign changes an amateur can make during a 10-year license term, and the FCC is seeking input on the proposal. According to the ARRL, Christopher LaRue, W4ADL, of North Las Vegas has filed a Petition for Rule Making (RM-11775), asking the FCC to limit changes in vanity callsigns to one per license term. LaRue contends that some amateurs are changing callsigns "almost monthly," with the intent of preventing newer Extra Class licensees who have not had to pass a Morse code exam from getting desirable 1x2 or 2x1 calls. Callsigns generally are not reissued for two years after they expire or have been changed. The full petition is on the FCC website at https://ecfsapi.fcc.gov/file/1004220986407/Petition%20.pdf. Comments are due by November 25th. 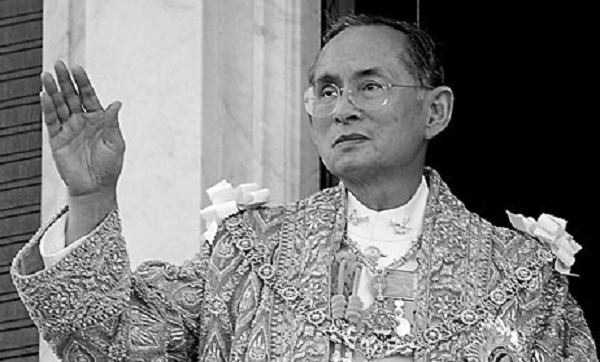 King Bhumibol Adulyadej of Thailand, who held the amateur callsign HS1A, became a Silent Key in October at age 88 after a period of failing health. On the throne since 1946, he was the world's longest-reigning monarch and was the patron of the Radio Amateur Society of Thailand (RAST). According to the RAST website, "His Majesty the King had been presented the callsign HS1A by the Ministry of Communications at Chitrlada Palace on August 18, 1989 in a ceremony witnessed by RAST officers. Five years later, in November 1994, His Majesty placed RAST under his royal patronage." The website (http://www.qsl.net/rast/) also shows photos of the king using a handheld and the 1989 ceremony at which his callsign was presented. The Hurricane Watch Net (www.hwn.org) was active for nearly a full week as Hurricane Matthew meandered its way up the east coast of the United States in early October. According to HWN Manager Bobby Graves, KB5HAV, the 6-day, 7-hour activation was the longest period of continuous operation in the net's 51-year history. The net activates whenever a hurricane is affecting land in the Caribbean or along the US east coast, to relay reports of conditions and requests for information or assistance. Hurricane Matthew devastated Haiti and its rains caused major flooding and damage in the Carolinas. The ARRL Board of Directors cancelled an election for Director in the Southeastern Division as ballots were about to be mailed, disqualifying the incumbent from seeking re-election and declaring his challenger elected. Incumbent Doug Rehman, K4AC, was seeking a second term and was being challenged by predecessor Greg Sarratt, W4OZK, whom Rehman had defeated previously. The ARRL's October 6 announcement offered no explanation, simply stating that Sarratt had been declared elected.